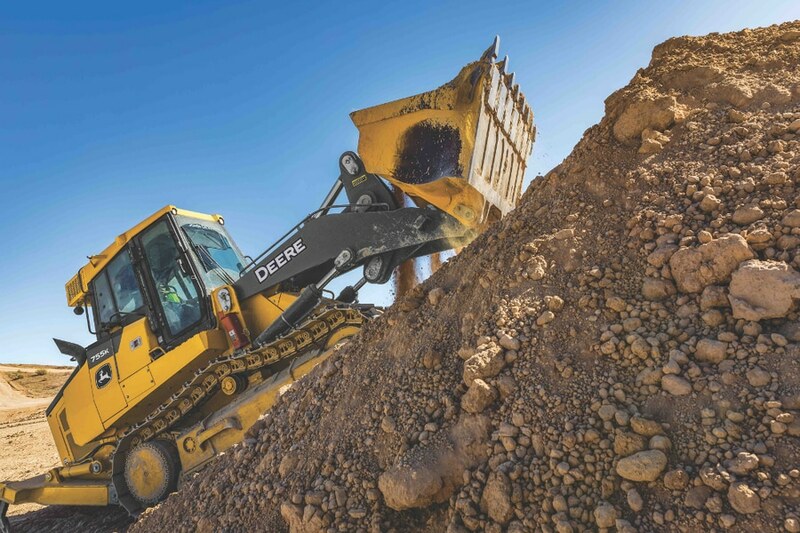 In upgrading its 655K and 755K crawler loaders, John Deere added a Tier 4 Final engine that boosts horsepower for the two K-Series models. The 655K jumps from 145 to 155 horsepower, while the 755K increases from 190 to 194 horsepower. 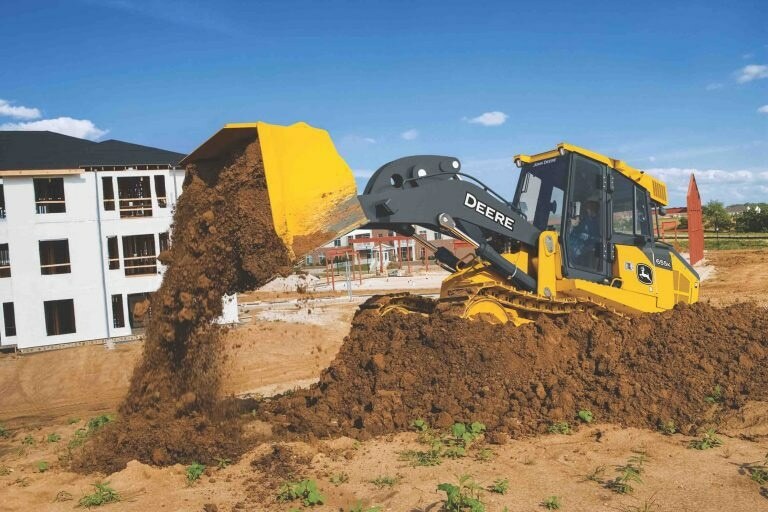 The company says the crawler loaders, with a John Deere PVS 6.8-liter engine, will increase productivity and uptime and lower operating costs. The engine’s standard Eco mode is designed to reduce fuel consumption by 20 percent without a loss of productivity. It automatically adjusts engine speed and transmission settings to the load and works in both forward and reverse. The loaders also come equipped with auto idle, which automatically lowers engine speed when not moving and when functions are not engaged. Auto shutdown can also be engaged in conjunction with a timer that can be set in the monitor. A rearview camera now comes standard with an LCD color display, allowing the operator to see the ripper and back of the machines. 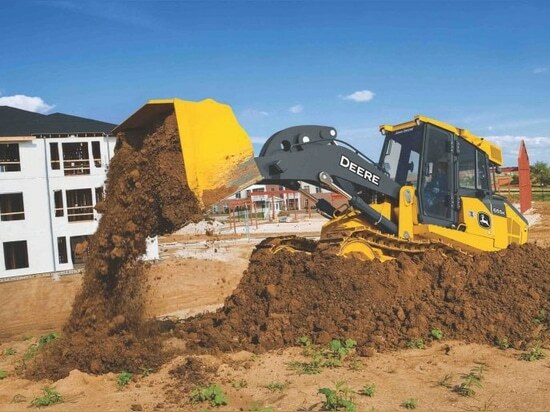 The loaders have hydrostatic transmission, which features speed control, power management, live power turns, counter rotation while staying in gear, and dynamic braking, Deere says. Operators can choose from joystick F-N-R or V-pattern control with foot pedal steering, and single-lever joystick or two- or three-lever hydraulic controls. Throttle can be controlled using buttons on the sealed-switch module. In the cab, air conditioning is standard. The standard seat is high back with air suspension and offers multiple adjustments. A heated and leather-bolstered seat is optional. Deere says it also insulated the cab from noise and vibrations, pressurized it to keep out dust, made entryways wide and added legroom and ergonomics. 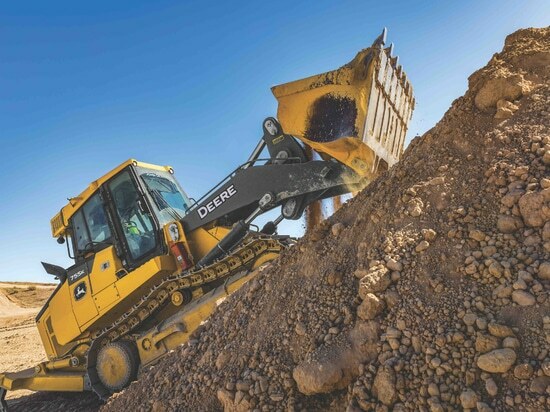 The monitor provides quick and easy-to-read pressures in the hydrostatic and hydraulic systems without the need for external gauges, Deere says. It also allows the operator to customize ground speed ranges, steering modulation, F-N-R shift rate and forward/reverse speed ratios. Other features include keyless start and coded-security modes. A Quad-Cool cooling system isolates the radiator, air-conditioner condenser, intercooler, and hydraulic, transmission and axle coolers from engine heat to increase efficiency and durability, Deere says. A hydraulically driven fan runs only as needed. Operating weight: 40,614 lbs. 45,178 lbs. Heaped capacity: 2.4 cu. yds. 3.2 cu. yds. Breakout force: 33,271 lb.-ft. 44,287 lb.-ft.